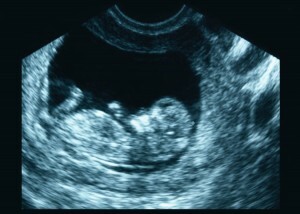 My ultrasound is coming up, and husband wants to know our baby’s gender. I do not. What did you do? Our Mommy MD Guide’s reply: We decided not to find out. This is somewhat unusual for an ob-gyn with ultrasound machines in her office. Sometimes I had to leave my office at the same time my staff did because I knew the temptation would be too great. If I had wanted to know at any time, I could have simply done an ultrasound. But I had promised my husband I wouldn’t find out, and I knew that it was easier not to know what the gender was than to lie to my husband about it for the rest of my life. That’s what kept me strong. Interestingly, my maternal instinct about my baby’s gender was correct both times. Both my associate and my mom had predicted that each child was the other gender! My husband went along with my instincts. For my first baby, I had a dream she was a girl. My second baby I just knew in my heart was a boy. For both, we went to the hospital with two names, just in case. For me, not knowing my baby’s gender was like having a birthday present. You could open it before your birthday, but you don’t want to. You want to be surprised. I think the anticipation is part of the excitement. Plus, I would have been over the moon with either a boy or a girl both times, and there are so few events in life that end up being wonderful whichever way the outcome goes. What a wonderful surprise to have! I have certainly had patients who do not find out the gender but their husbands do, or vice versa. It’s possible for one partner to keep the secret but so difficult. It would make it an interesting 9 months, that is certain! Perhaps you could agree to find out the gender this time but keep it a secret with the next pregnancy. Or maybe keep the secret until the baby shower.